Sri Lanka Hotels. Sri Lanka is brimming with hotels that combine the best of food, architecture, and nature to transform your holidays into luxurious getaways that are full of wildlife adventures, surfing, tea plantations, ancient ruins, fascinating beaches and delicious cuisines. Intimate beach villas, timeless plantations, hidden retreats, eco-enclaves and plush city hotels, just about the perfect indulgences to keep you company as you navigate the length and breadth of the island. 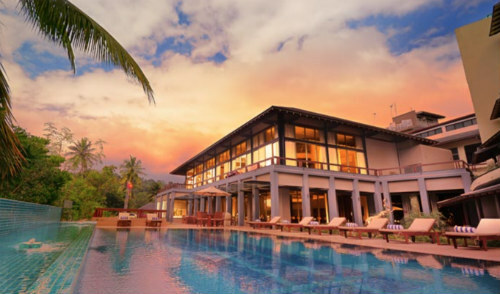 Start your adventure at Wallawwa in Kotugoda near the airport, renowned for its Z Spa, then to Kandy to perhaps stay at Kandy House a small nine room boutique hotel or The Weir a private residence converted into a four room hideaway. Then onto Horton Plains where you have a choice of bungalows at Tea Trails, then maybe beachside at Villa Bentota or Aditiya in Galle with suites that have private plunge pools. Finish your tour with a stay in the capital city at Casa Colombo with 12 individually designed suites. 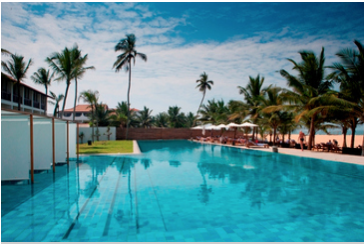 Explore some of the top beaches in the subcontinent riding on huge waves, dining in fine restaurants and relaxing in indulgent spas at Vivanta by Taj – Bentota. Alternatively, simply spend the last few days of your tour basking in the glow of love at the Amaya Lake, Dambulla. Tree-lined walkways combine with rustic interiors to present an opulent retreat that basks in the beauty of the fascinating Amaya Lake, leaving you spellbound and enchanted. Don’t see something you like represented here, sorry we cannot show them all, but we do have a long list of recommendations? Let us know your preference, and we are sure to bring you some of the best hotels in Sri Lanka, customized to your individual budget and preference. 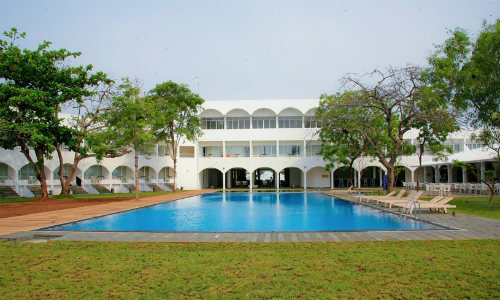 Rajarata hotel Anuradhapura welcomes its guests to experience the grandeur of a by-gone era and the mystique that surrounds the ancient city of Anuradhapura. Nestled in the alluring ancient city, within proximity to many religious and historical sites, At Rajarata hotel Anuradhapura guests can experience a truly royal atmosphere that goes hand-in-hand with utmost hospitality. Just a stroll away from one of the world’s top ten surfing spots, Bay Vista attracts surfing fans during peak season and peace lovers during the rest of the year. 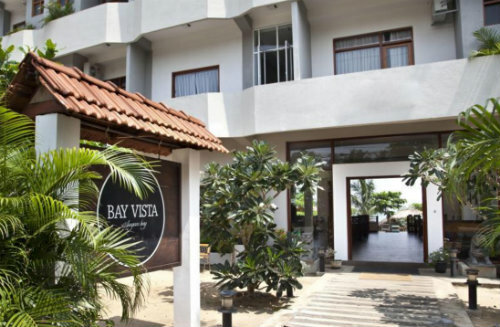 Ensconced amidst rustling coconut palms, by the famous Arugam Bay beach along the east coast of the tropical island of Sri Lanka, Bay Vista welcomes you with a sunny warmth and promises you lasting experiences. 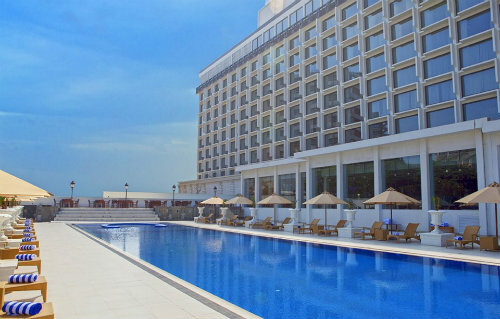 The Kingsbury Colombo, located in the heart of Colombo city by the banks of the great Indian Ocean, is really an ode to the golden age of grace and elegance. There are 229 rooms and suites in this regal edifice, and all of them face the sea. The Kingsbury experience will be a personalised, respectful one where patrons will be treated like royalty in keeping with the promise of bringing back ‘good-old-fashioned’ hospitality. 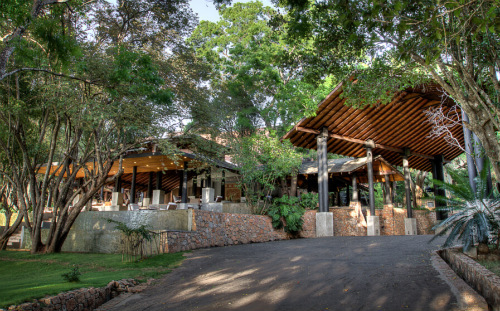 Deer Park Giritale is an ideal base for exploring Polonnaruwa located just minutes away. 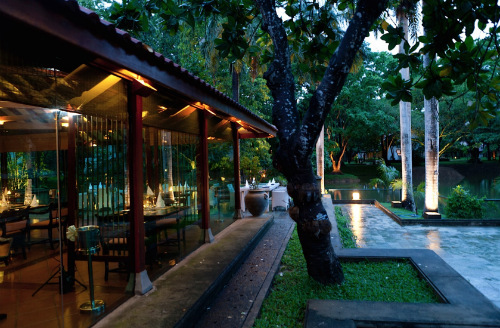 Deer Park Hotel gives you the best of secluded nature and stylish accommodation in Polonnaruwa. Sri Lanka is your window to the magnificent past of Sri Lanka’s ancient civilisations and UNESCO World Heritage Sites. 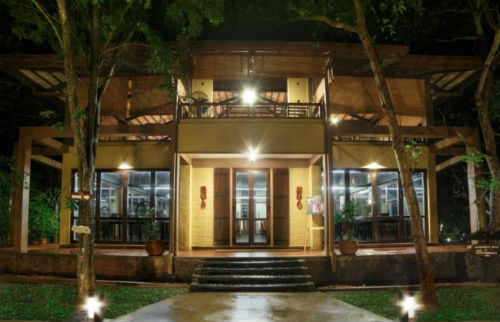 Amongst the many discoveries, you’ll make in the Cultural Triangle is The Deer Park Hotel, which emerges in rustic splendour from the lush tropical jungle bordering Minneriya-Giritale National Park. Bordering a lake and hidden amidst the bushes of Sri Lanka’s dry zone in the north central province sits Habarana Village by Cinnamon. We strive to combine the air of a traditional Sri Lankan village with rustic luxury to give you a very different take on the resort experience. 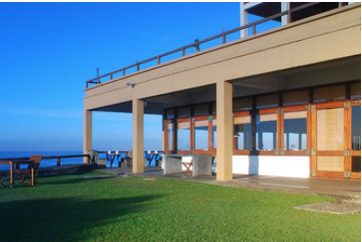 The world’s first tea bungalow resort, Ceylon Tea Trails is an icon for small luxury resorts. 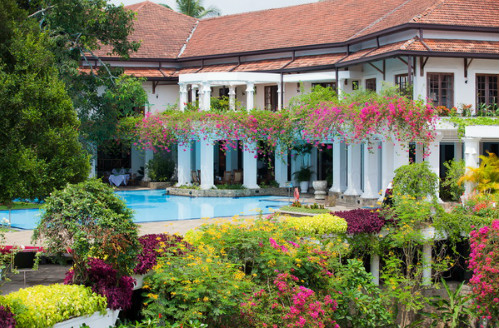 Comprising of five restored colonial era tea planter residences, the period furnishings, gracious butler service and gourmet cuisine create an ambience that has made Tea Trails the gold standard for luxury bungalows in Sri Lanka. 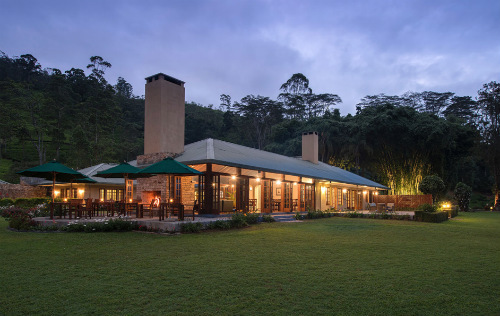 Situated at an altitude of 1250 metres near Hatton in central Sri Lanka, the resort borders the World Heritage Central Highlands and offers breathtaking panoramas of mountains and lush tea fields. 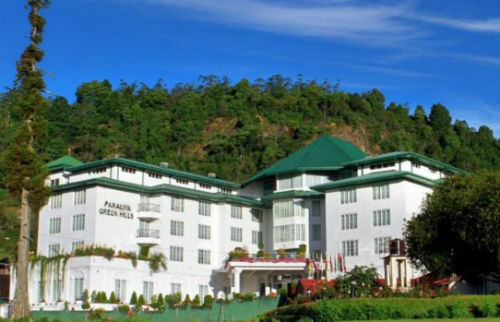 Nestled within the lush green surroundings of the ancient kingdom of Kandy, Earl’s Regent is the ideal Kandy hotel that showcases the very essence of our authentic Kandyan heritage. Experience the warmest of hospitality and the best of comforts throughout your stay, here at your home in the hills! Cosy rooms inspired by Sri Lankan charm. Stunning views over the mist-covered mountains. The modern technology you can’t do without while travelling. Sublime beds that’ll give you sleep so deep, you’ll be waking up before the alarm goes off with ease. 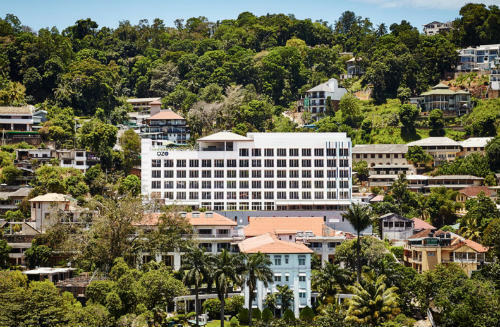 Tucked away in Kandy, the lush green hill capital of the island, the Mahaweli Reach Hotel will captivate your imagination no sooner you enter its elegant setting. The smiles of our people will not only complement the warmth of our hotel, but will also add to the personal level of luxurious service that each and every one of our guests is given. 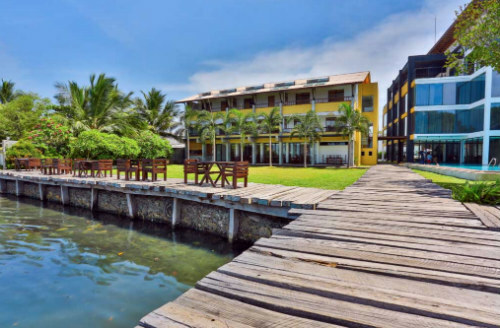 Amagi Lagoon Resort & Spa is a luxury hotel near Colombo International Airport, located on 2-acres of land which borders the Negombo lagoon. It was built with the intention of providing guests with a unique opportunity of experiencing life amidst the lagoon and opening up to new styles of recreation. 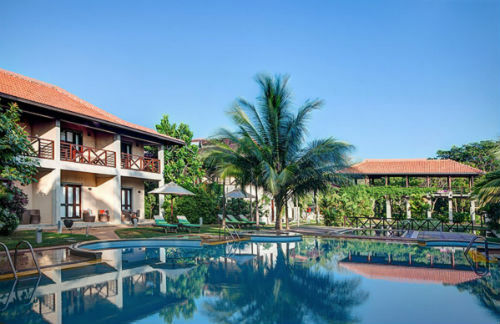 Welcome to Jetwing Blue, Negombo, a stylish beach hotel with warm Sri Lankan hospitality combined with contemporary comforts and excellent service. This trendy coastal getaway with its vibrant new look embodies a contemporary taste of luxury living. 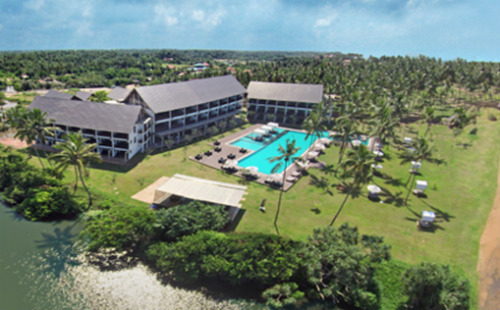 Suriya Resorts is located on the immaculate golden beaches of Waikkal/Negombo. The hotel comprises 56 guestrooms consisting of 14 Suites and 42 Deluxe Rooms with private balconies allowing you to absorb the spectacular sunsets on the Indian Ocean. Surreal it may be, but the accommodation at Green Hills is unlike any other. Each room is a cocoon of absolute comfort where your senses are spoiled. While this property offers well-designed Rooms festooned with every amenity imaginable, there are also Deluxe Rooms, luxurious Suites, few bespoke Presidential Suites and one Royal Suite, which provides the truest forms of luxury imaginable. 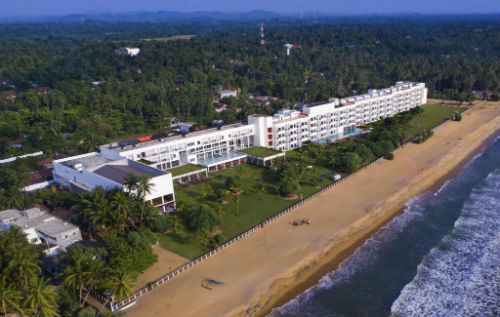 A lovely beach resort on the south coast of Sri Lanka sitting by the golden sandy beach leading to pristine blue waves, countless pretty bays and coves, Portofino Resort Tangalle offers a memorable experience. 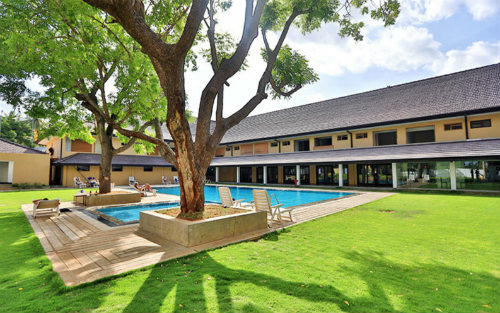 A classic resort, built in the late 1960s and refurbished in 2010 by expert interior specialist Channa Daswatte who opted for denim trimmings and a retro 70s design that makes Trinco Blu by Cinnamon is an unusual getaway. Feel right at home at Trinco Blu by Cinnamon, for the lover of marine life, the best of the ocean is on offer right on your doorstep, the hotel can take you whale watching, snorkelling and diving with these giant kings of the sea. 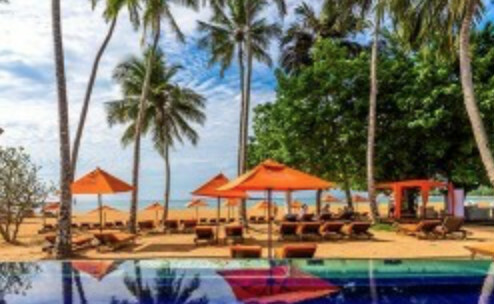 Calamander Unawatuna Beach is found nestled by the edge of a bay that allows travellers to absorb the beauty of the splendid Blue Ocean and miles of sandy beaches. Located on what is recognised as one of the best beaches in the world. The hotel maintains the relaxed character of the old, the great food, and the al-fresco dining; whilst dramatically improving the quality of the rooms and facilities to official four-star class. Overlooking the mass blue of the Indian Ocean, Citrus Waskaduwa embodies the true essence of luxury for your ideal beach vacation in Sri Lanka. Sun-soaked tranquillity and breathtaking views, outstanding cuisine and luxury accommodation combined with the magic of Citrus, nestled on the magnificent golden sand crescent along the west coast of Sri Lanka are just a few reasons to visit Citrus Waskaduwa; a popular choice of beach hotels in Sri Lanka. Elephant Reach, located bordering the Ruhuna Yala National Park, invites travellers to enjoy the bountiful nature in its natural surrounding whilst experiencing authentic Sri Lankan hospitality combined with luxury. Thus the experience of a stay at Elephant Reach will be cherished by all who step inside this nature haven.